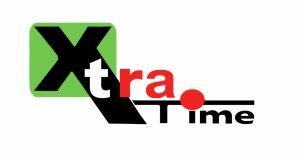 XtraTime VIDEO: Could Mohun Bagan & Sanjiv Goenka work together? Home / Indian Football / I-League / XtraTime VIDEO: Could Mohun Bagan & Sanjiv Goenka work together? Mohun Bagan official Srinjoy Bose in an exclusive XtraTime interview hinted that there could be some kind of cooperation between Mohun Bagan and ATK owner Sanjiv Goenka in the future. He didn’t go into any detail but set of rumours about a possible cooperation or even merger of Mohun Bagan and ATK ahead of the 2019/20 Indian Super League. Previous Aleksander Ceferin sole candidate for UEFA Presidency! Next PUMA launch special ‘Attack Pack’ boots!